Post-Concussion Syndrome, "Mild" Traumatic Brain Injury: Can you Help? Post-Concussion Syndrome, “Mild” Traumatic Brain Injury: Can you Help? As part of its work on the National Disability Insurance Scheme’s Information, Linkages and Capacity Building , referred to in the first article of BIA’s March 2017 Newsletter, Brain Injury Australia is keen to hear from the potentially many thousands of Australians with experience of post-concussion syndrome/ “mild” traumatic brain injury. Over 20,000 Australians are hospitalised with a traumatic brain injury (TBI) each year. As many as 85 per cent are diagnosed with a “mild” TBI and the majority of them – again, around 85 per cent – will make a full recovery within 3 to 6 months. Brain Injury Australia estimates that every year in Australia more than 3,000 people are hospitalised with concussion, just from playing sport. Triple that number will not seek medical attention. And as many as ten times that number will not even report their concussion to teammates, coaches or family for fear of being removed from play. Or, they do not even know they have been concussed (as many as nine out of ten people hospitalised with concussion don’t recognise the injury). In around 90 per cent of adult concussions, symptoms will completely resolve within 10 to 14 days of injury. 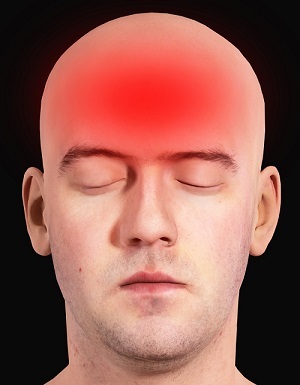 That still leaves a large number of people for whom ongoing post-concussive symptoms – including headache, dizziness, fatigue, blurred or double vision, sensitivity to noise and/or light, ringing in the ears, poor balance, reduced thinking speed, concentration and memory problems, irritability, anxiety and depression – can result in significant, and ongoing, disability affecting educational, occupational, social and emotional functioning.